"The customer service I received was exceptional throughout the whole process. 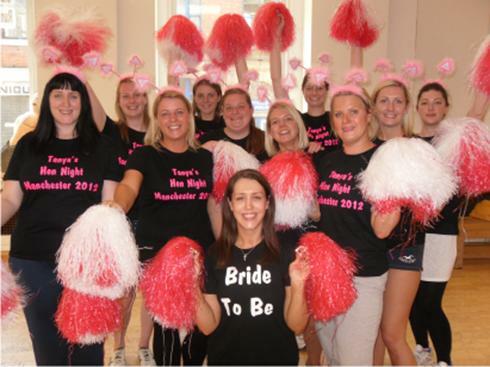 The hen night t-shirts were of a great fit for everyone (variety of sizes) and the quality of the print was excellent. Everyone was thoroughly impressed with their t-shirts. The ordering process was well informed and I was fully updated regularly and the delivery time was super fast. 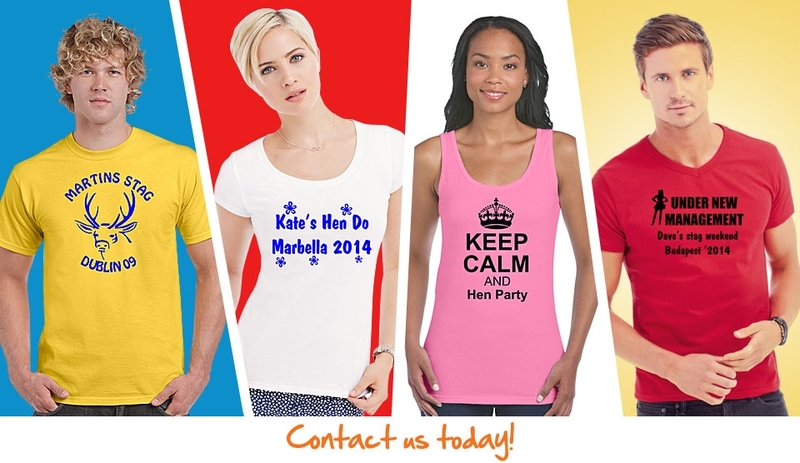 I would recommend you to anyone looking to order high quality printed Hen night t-shirts." 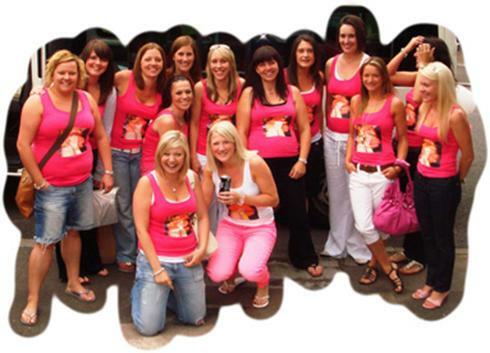 the picture attached of all us girls wearing our hen night t-shirts. It certainly helped to make it a night to remember". We found you to offer the best advice on what to have printed on our t-shirts, and are so pleased we decided to use your services to make our hen night such a special occasion - the girls loved the final design of the t-shirts". 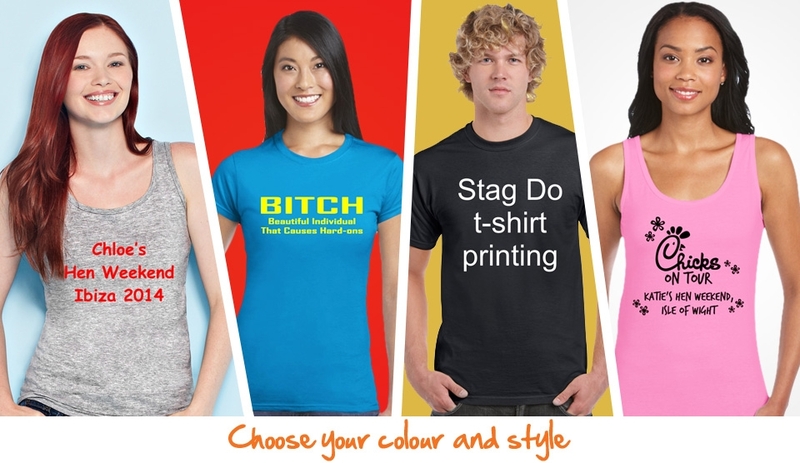 We print t-shirts with simple left breast logos to full front printed designs, or the ever popular name and number on the back of your hen or stag t-shirts. With a wide t-shirt and print colour option there really is no limit to what you can wear on your hen night or stag do. 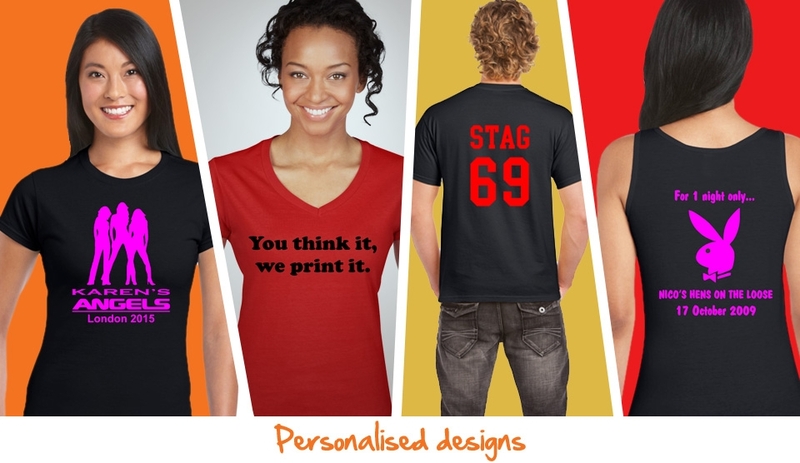 Please use our contact form to ask any questions you may have regarding printing t-shirts for your Stag do or Hen night. time for your hen night.